The Thai opening credits made me wonder if I stepped into the wrong theatre. But it sure made it feel more authentic. Otherwise, it was just lots of spewing blood and a crusader of justice who may be slightly misguided. Luke (Ryan Gosling) is a motorcycle stunt rider who discovers he has a son with a lover from the past and tries to earn more to provide for them. He decides to rob banks with a partner but his decision will change his life forever. Isn’t this such a coincidence? I mean, after People magazine named Bradley Cooper the Sexiest Man Alive in 2o11 much to the chagrin and fury of everyone (mine included) who adores Ryan Gosling – here they are in the same movie! The way this story plays out doesn’t do the title justice – spoiler: somebody dies! While the ladies enjoy Gosling’s wonder physique covered in his not-so-aesthetic tattoos (some of the fonts were really weird), the guys can ogle Eva Mendes. Ultimately, I think the show is about karma. You do a bad deed and you do nothing about it… it will come back and bite you. Since the movie takes place over a period of 15 years (or more), it is rather draggy and often I wonder when is the movie going to end. But I like the car chases where Ryan Gosling’s character tries to out-run the cops – full of adrenaline rush! Can’t say the same for the rest of the movie though. Robin: If you ride like lightning, you’re going to crash like thunder. 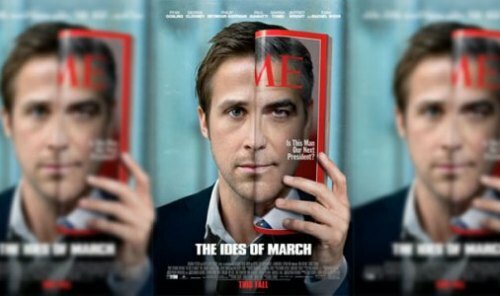 This is the must-see Ryan Gosling movie of the year! 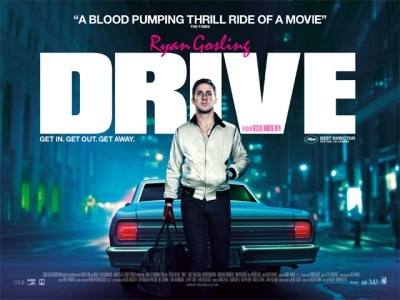 Mechanic and stuntsman by day, getaway driver by night, Gosling is the ultimate representation of a man. Always seen in his signature satin scorpion jacket, he gives his all to protect his neighbour, Irene (the lovely Carey Mulligan), when she is implicated in a heist gone wrong. I love the elevator scene, though it must have frightened Irene. I can hear the bones crack. And his driving is so good, it really inspired me (for the duration of the movie). The ending was bittersweet, and I guess it was expected in a sense because bad guys will always be bad guys. The soundtrack is also very groovy! Electro-80s-synth pop! All Good Things was inspired by the life of Robert Durst, an heir to New York’s real estate tycoon and the disappearance of his wife, Kathleen McCormack. Ryan Gosling plays David Marks, who meets Katie (Kirsten Dunst) and marries her after a few years. David reluctantly joins the family business and provides Katie with the material comforts they can afford. Things take a turn for the worst when David and Katie disagree on the issue of kids and they start leading separate lives. David becomes more violent and possessive, the Marks’ family skeletons are revealed and Katie disappears without a trace. Twenty years on, David’s best friend is found dead and the case of his wife’s disappearance is re-opened. I have to admit that the main reason I watched this was Ryan Gosling – it’s been so long since I saw him on the big screen! 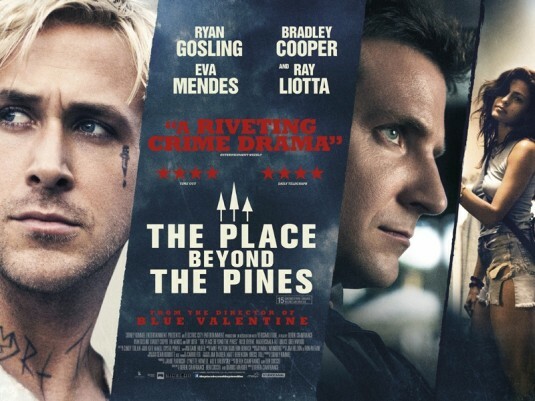 Can’t wait for Blue Valentine to open in Singapore! Anyway, the story here is rather compelling but I think it wasn’t suspenseful enough for the big screen. Still, the leads hold up the movie and Ryan Gosling even dresses up in drag! But the things he does is in drag is scary and chilling and involves a saw! It’s about this guy – Lars, whose mother died while giving birth to him and since then, he’s built this big wall around him due to events which happened during his childhood. 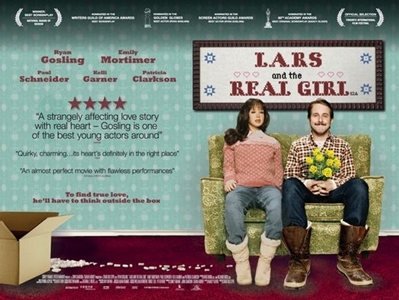 The “Real Girl” in this case refers to his girlfriend, Bianca, which is actually a blow-up doll made-to-order from the Internet. Talk about meeting your soulmate online. His brother, sister-in-law and the community went along with him and treated Bianca like a real person – going to church, helping out at the hospital and even going to the hair salon to style her hair. It’s great to see Lars becoming a “normal” person at the end as the doll was actually used as a prop for him to get to know the community which he once was alienated from.